Most little girls grow up playing with Barbie dolls. Some even want to look like them. One 21-year-old has become one, or so she says. 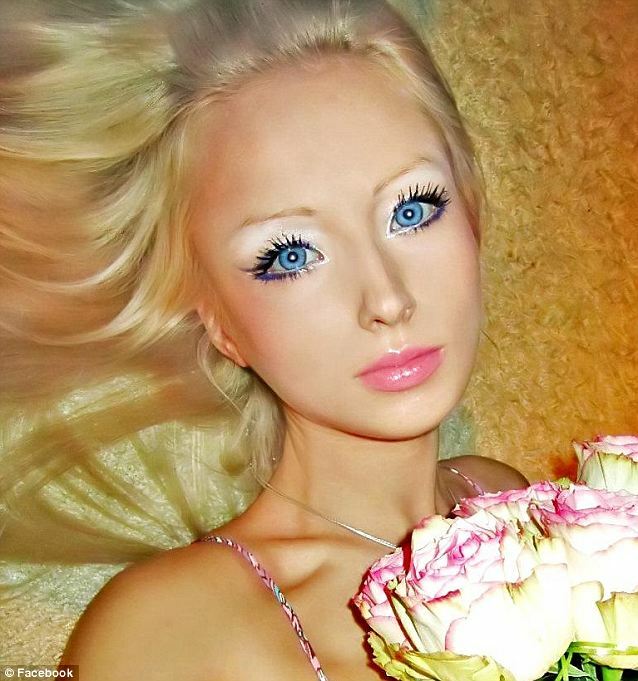 Valeria Lukyanova has become an internet sensation in her home country of Russia, claiming on her blog to be the most famed woman on the Russian-language internet. Her doll-like features, long blonde hair and ‘perfect’ body make her look like a real life Barbie. Pink: Even her home looks like Barbie's Dream House. Maybe there's a Ken in there, too! In fact, with her tiny waist and large breasts, she bears such a resemblance to the famed plastic doll that cynical web users have been speculating about whether or not she is real. In a spoof video posted on YouTube an animated version of the model undergoes surgery to enhance her already prominent assets. 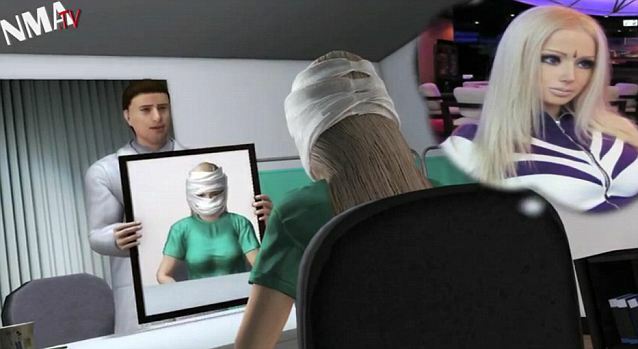 The girl checks into a plastic surgeons office. As she lies on an operating table, the ‘surgeon’ uses a hand-held pump to enlarge her breasts, before giving her a face-lift using putty and a chainsaw. But the big question remains unanswered: Is Valeria real or is this an elaborate Photoshop hoax? 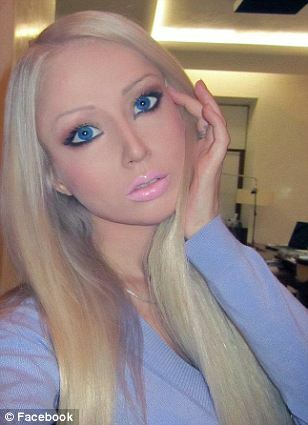 More ‘normal’ photos on her Facebook page of the 21-year-old wearing far less make-up suggest she does exists. A YouTube video shows the transformation as she dolls herself up. Made-up: Valeria looks glamorous even when she goes for a swim Valeria has 155 subscribers following her profile on the social networking website – double the number of friends she has at 78. One fan, a man named Firtina Seymen has ‘liked’ virtually all of her photos and written ‘beautiful’ underneath them. Photos have also been posted on her blog, on which she writes about making music and meditation. According to NMA.TV she is seeking out followers in France and elsewhere in Europe.